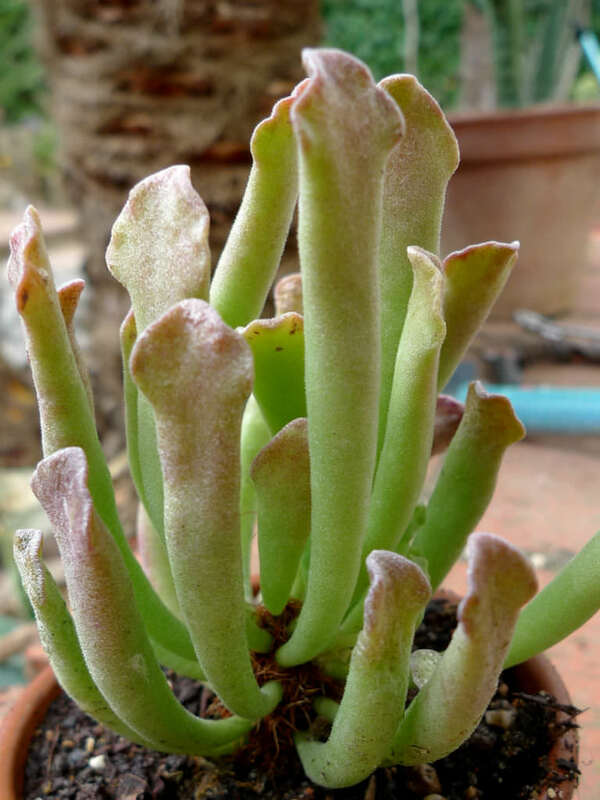 Adromischus cristatus var. 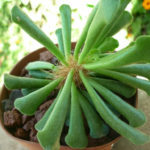 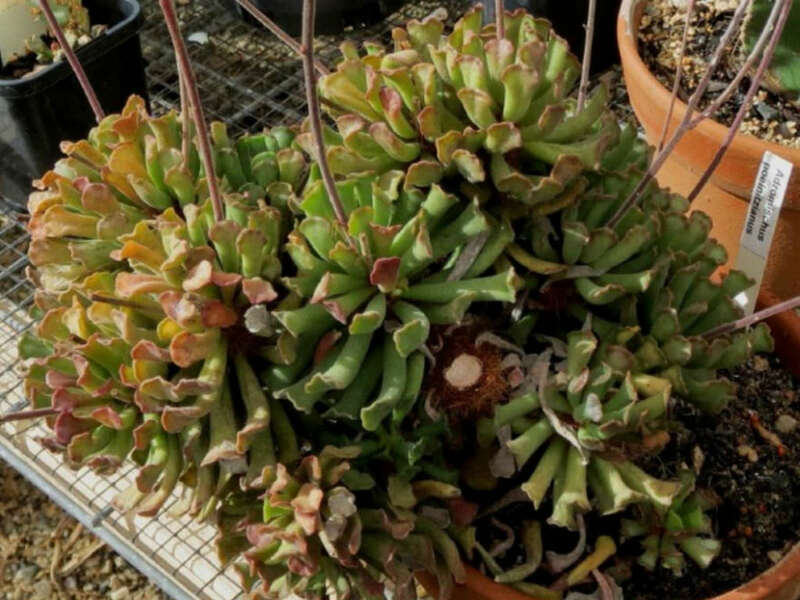 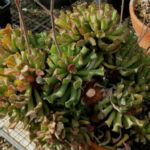 clavifolius is a dwarf succulent plant forming a compact clusters of fat, club-shaped leaves. 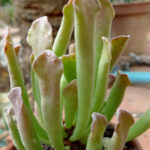 They are light green to grey-green sometime with darker markings, up to 3 inches (7.5 cm) long and up to 0.4 inch (1 cm) wide. 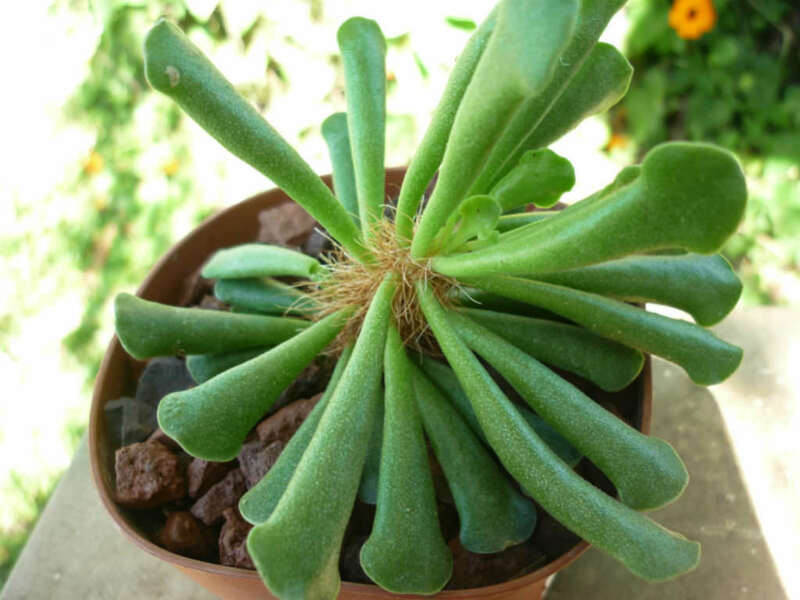 The stem is erect up to 2 inches (5 cm) tall with fibrous reddish-brown roots at base. 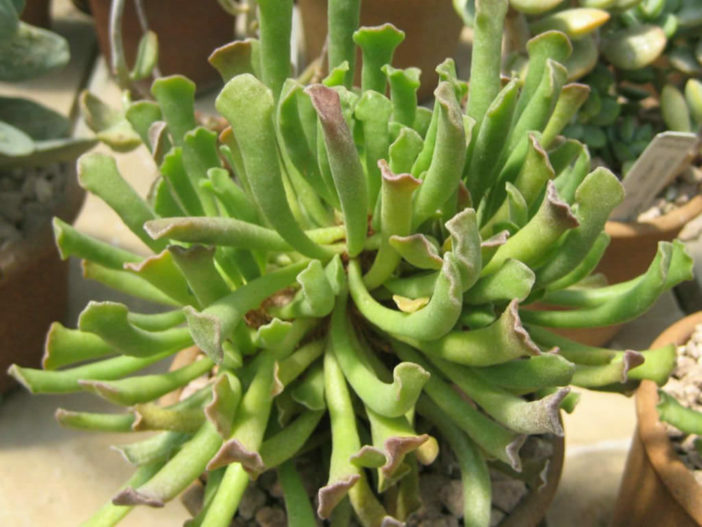 The flowers are on up to 8 inches (20 cm) long stem, grey-green, ovate-triangular, tipped with reddish white.